An exciting new retail business opened at 47 Market Square in Witney on Saturday 9th July - The Little Emporium. Previously home to Cotswold Kids, the Grade II listed 2-storey shop now features a gourmet chocolate shop, including delicious truffles from local chocolatier Belflair, scooped dairy ice- cream from Marshfield Farm near Bath and a selection of quality confectionery and traditional, old-fashioned sweets. On the first floor, The Gift Room offers carefully selected jewellery, scarves, art, homewares and keepsakes, many made in the UK and some sourced locally, at good prices. Uniquely, a personalisation service is available on a range of items. In addition, lovely new baby gifts sit alongside a wide selection of Jellycat toys, appealing to young and old alike: the exclusive Jellyfriends loyalty club continues. The third room hosts Something Special occasions and party wear showroom for children, a specialist destination in its own right. 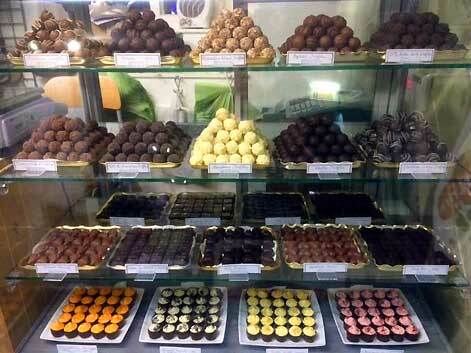 Business owner, Janette Reed, is excited about the future: “I’ve always dreamed of running a ‘proper’ chocolate shop, and have been planning this for some time. Our lovely cottage-style building really lends itself to an emporium-style store: downstairs is just perfect for the chocolate, sweets and ice-cream, and widening our offer with a unique range of gifts upstairs, with the cherry-picked best of Cotswold Kids, has created a shop with something for everyone”.